At Silverpoint Homes we wanted to take a moment to ask you a question. Do you have a high definition television in your living room? At this point in time, these flat screen marvels are probably in more than just one room of your house, am I right? Depending on when you purchased your HD TV, you may have overpaid. Prices have plummeted since they first came on the market, making you wonder why in the heck you didn’t just wait a bit longer to snag that technological wonder. Purchasing a new home is very similar, but on a grander scale. If you’ve been waiting for the right time to buy, now is the time, but, unlike the price of techno gadgets, you have a much smaller window of opportunity. With the economy on the rebound, the demand for new, quality built homes has increased. This means that the price of building materials will soon rise, and homebuilders will be forced to charge homebuyers more for the same home that they can purchase right now at a much lower cost. Don’t miss your chance! Let’s discuss your new home now before the interest rates increase and you’ll find yourself being charged a higher per square foot price. There’s still time, but trust me, Silverpoint Homes have been in the business for over 15 years, and we know what’s right around the corner. Contact us today and let’s set up a time to discuss building your new home. 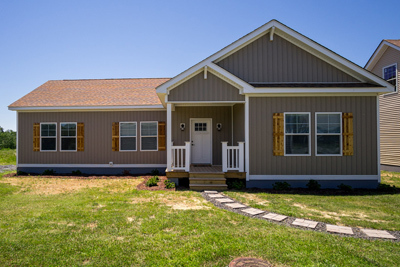 Why Choose Modular Homes from Silverpoint Homes? We’ve been in the business for over 15 years, unlike some of the other “fly by night” builders who leave you after the sale or some have left during the build. Voted The Favorite Place To Buy a Manufactured Home by the readers of the Register-Herald 7 years running. We purchase materials in volume, meaning we pass on the savings to our customers. 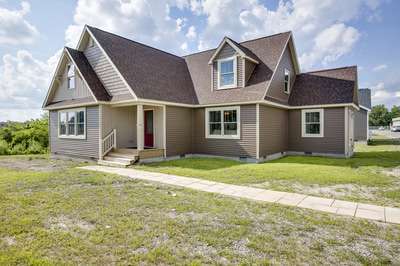 We have the largest display of modular model homes in the region. Family owned and operated, meaning you’ll interface directly with us. We’re very experienced, having sold over 700 homes. Silverpoint Homes is a licensed General Contractor in WV, VA, NC and SC. Please click here to take a look at our current floor plans and model homes. Trust us, if a new home is still in your future you will want to contact us. You’ll be amazed at how comfortable, practical – and affordable a new modular home from Silverpoint Homes can be!